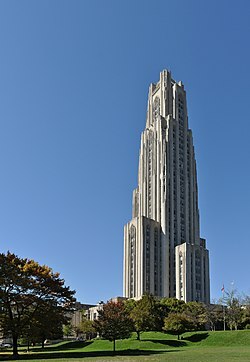 I currently attending the Phenomenology 2012 Symposium at the University of Pittsburgh. I’ll have detailed dispatches later on—the conference schedule is too grueling for me to piece together my thoughts very quickly, but I’ll give you a brief idea of what’s going on for the next few days. This symposium is a gathering of some of the top researchers in particle physics from around the world, and this year’s focus is on results and future prospects from the Large Hadron Collider (LHC), though there’s some other related stuff involved too. This morning, there were two good sessions about the search for the Higgs boson, so I’ll be summarizing those later. Additionally, a lot of interest (both at this conference and in general) about whether the LHC will find new physics, and what shape that new physics will take. I admit part of the reason I want to write about the new-physics portion is to help myself understand it: if I can explain it to you all, I stand half a chance of learning about it myself.